Lack of communication creates situations where medical errors can occur. These errors have the potential to cause severe injury or unexpected patient death. Medical errors, especially those caused by a failure to communicate, are a pervasive problem in today’s health care organizations. Of the 1,243 sentinel events reported to the Joint Commission in 2011, communication problems were identified in 60 percent. 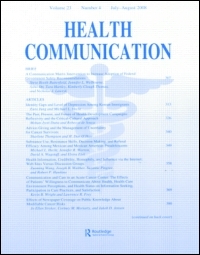 Given the importance of interpersonal communication as a means of information exchange, it is not surprising that communication failures are a large contributor to adverse clinical events and outcomes. There must be clear communication with the patient and among all the entities involved in that patient's care. 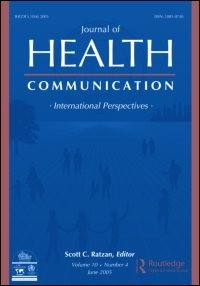 For more than 30 years, the American Academy on Communication in Healthcare (AACH) has been in the forefront of research and teaching relationship-centered healthcare communication. If you are looking for ways to improve patient safety, interdisciplinary teamwork, patient satisfaction scores, or just want to work on individual communication skills, AACH can help. The association is meant for all who are active in communication research and/or training. The aim of the association is to stimulate growth of an active network to improve the quality of communication in healthcare in Europe and beyond through research and teaching. IRCCH is a world-class, collaborative health communication research and training hub where internationally recognised and multidisciplinary healthcare professionals and communication experts work together, translating research to education and practice. 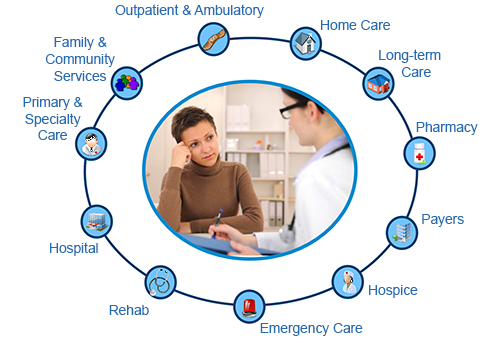 By bridging the divide between academic and practitioner worlds, IRCCH contributes directly to improvements in healthcare provision and patient safety – enhancing the quality of healthcare delivery and reducing the number of critical incidents caused through communication breakdowns. Effective communication impacts patient safety, quality and patient satisfaction. In today’s healthcare environment, most caregivers face the competing challenges of limited time for patient interaction, variable expectations, and increasing medical complexity. When physicians and advanced clinical care providers are given the support and resources to develop relationship-centered communication skills, they become empowered to handle any communication challenge and can enhance the experience of not only the patient, but also their loved ones and the providers. and other healthcare professionals throughout North America. 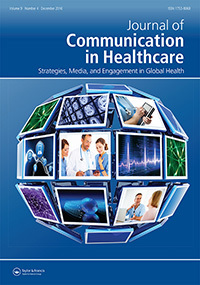 The Institute for Healthcare Communication (IHC) advances the quality of healthcare by optimizing the experience and process of healthcare communication. this noteworthy journal seeks to improve practical communication between caregivers and patients and between institutions and the public. Physicians’ ability to effectively and compassionately communicate information is key to a successful patient–physician relationship. Patient Provider Communication - series of videos, hosted by Sarah Blackstone, on the topic of patient provider communication. Barriers for the Doctor and Patient - Certain barriers, if not recognized or corrected, can hamper or destroy effective communication. The Art of Non-verbal Communication in Healthcare - Often, our facial expressions, gestures, eye contact, posture and tone of voice “speak” the loudest to the patient.